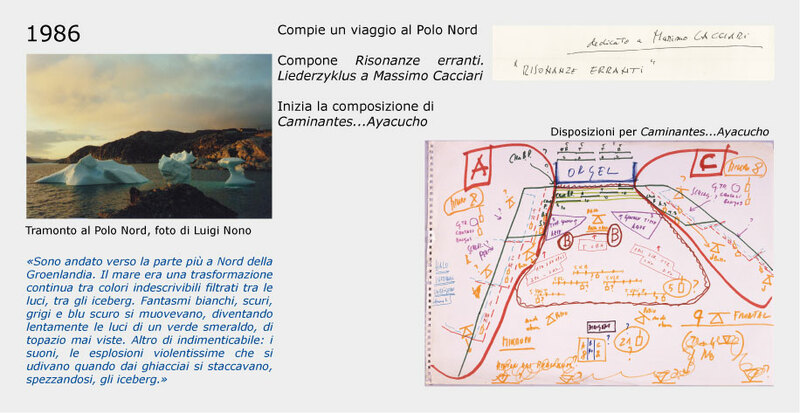 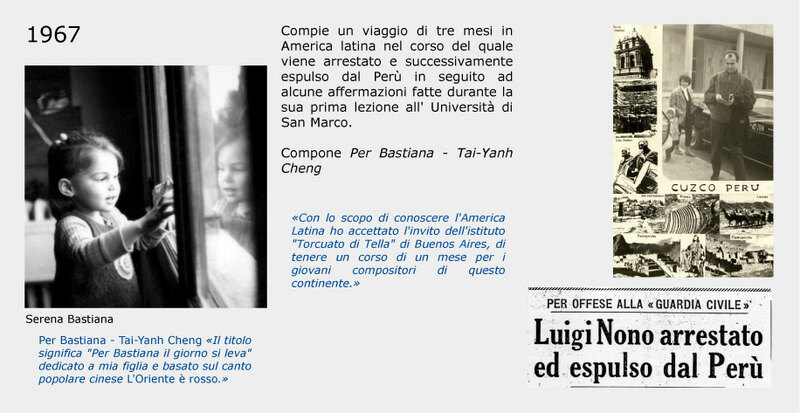 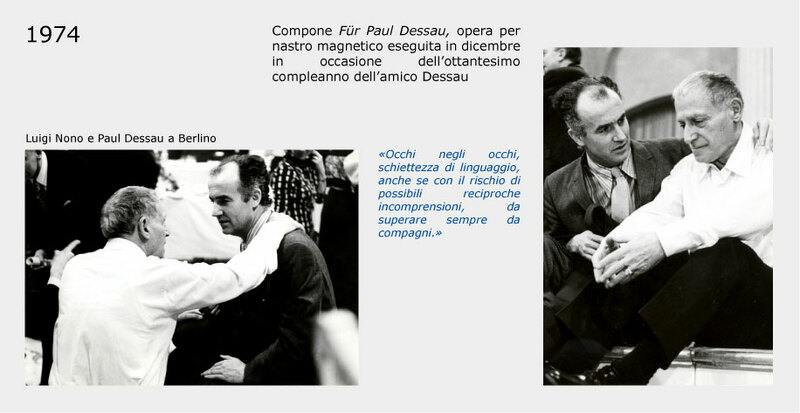 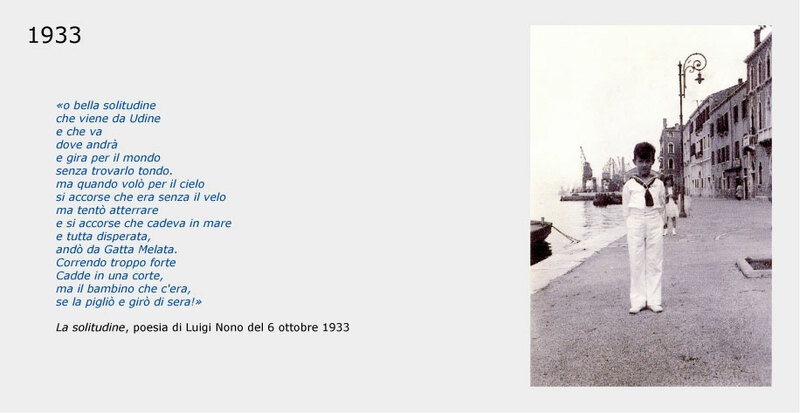 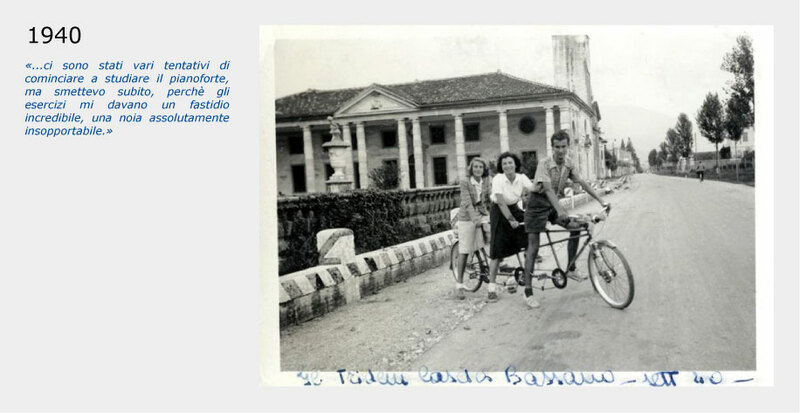 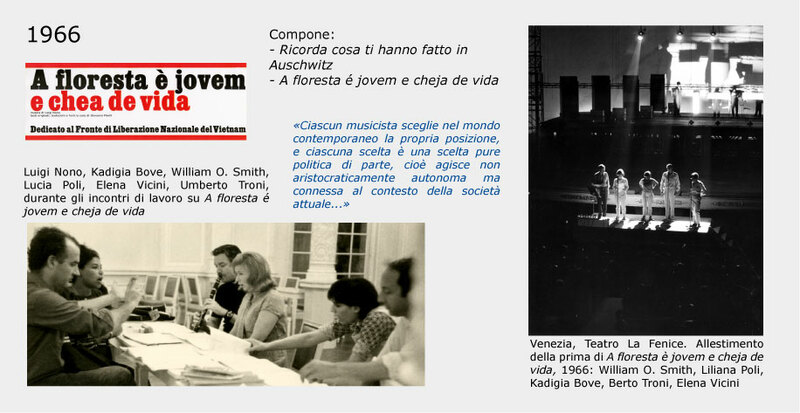 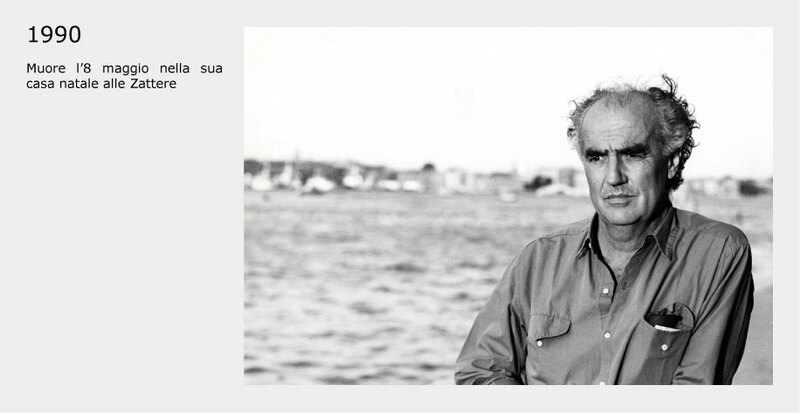 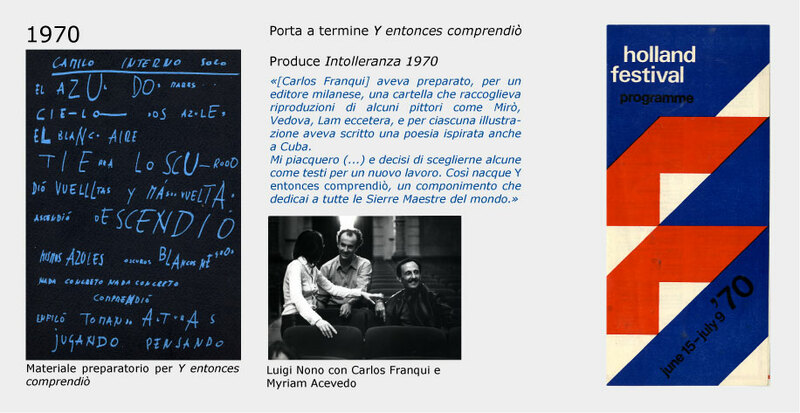 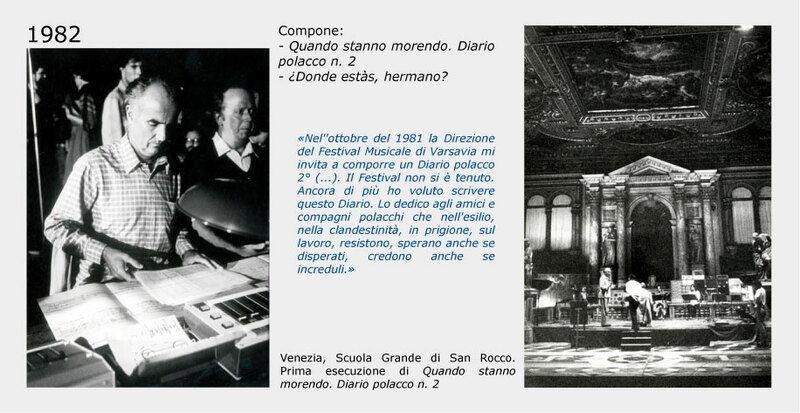 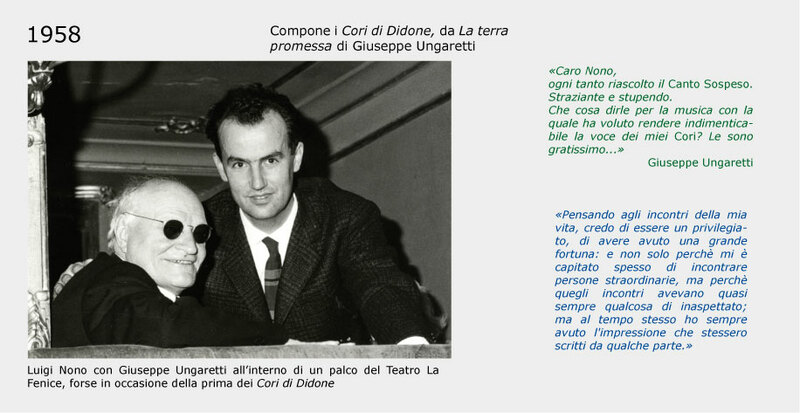 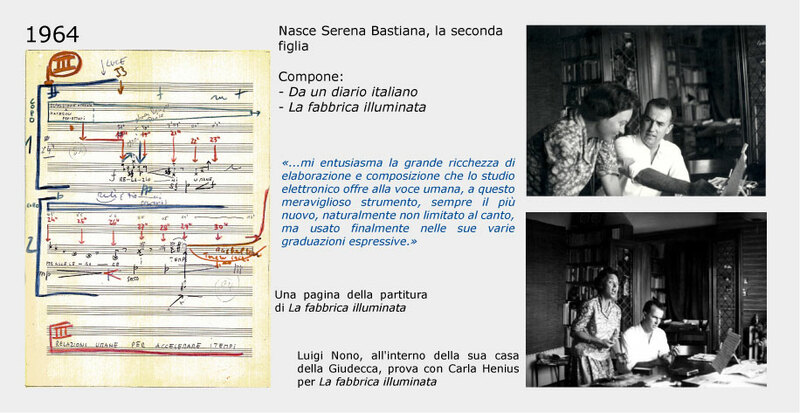 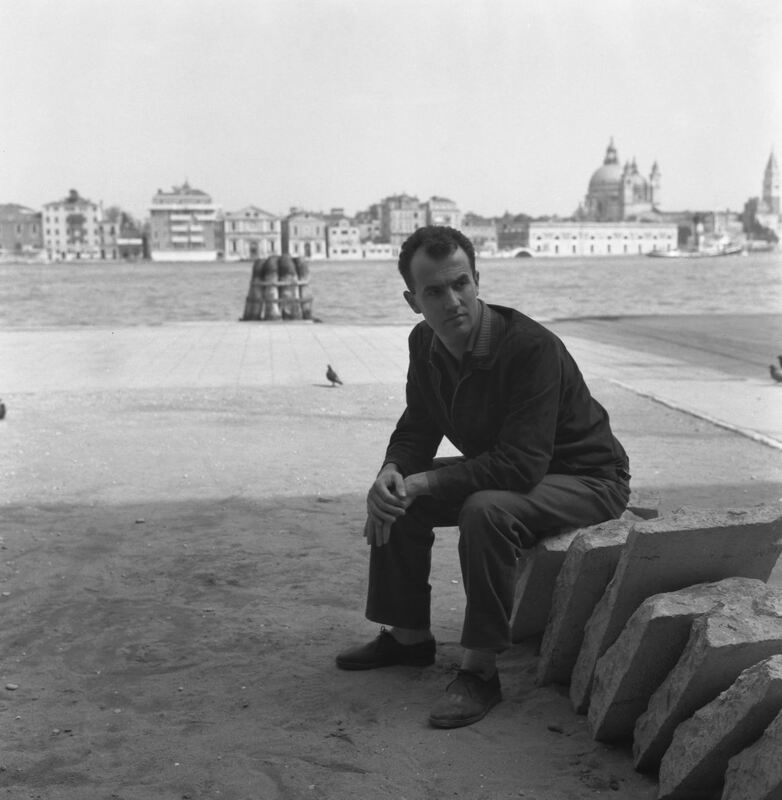 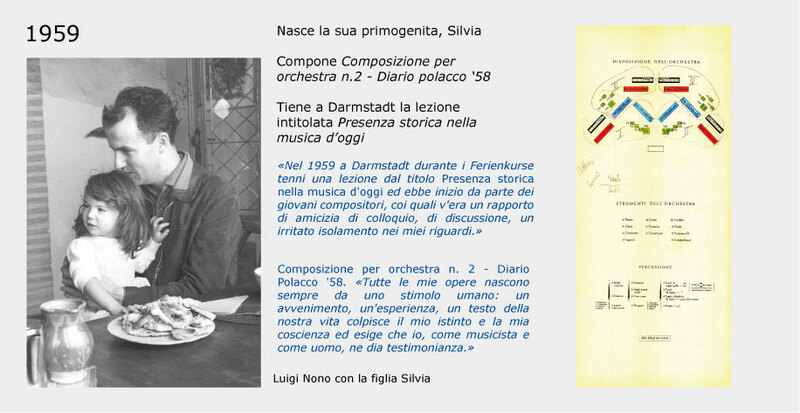 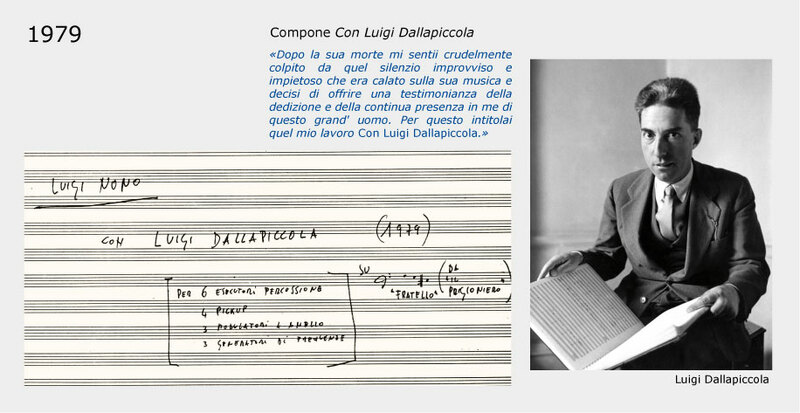 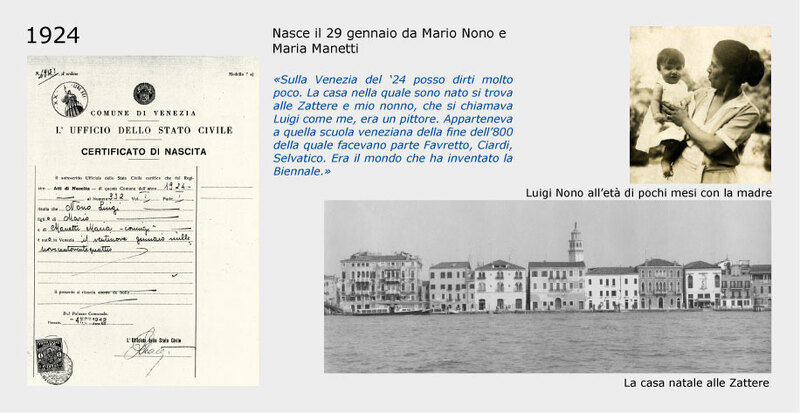 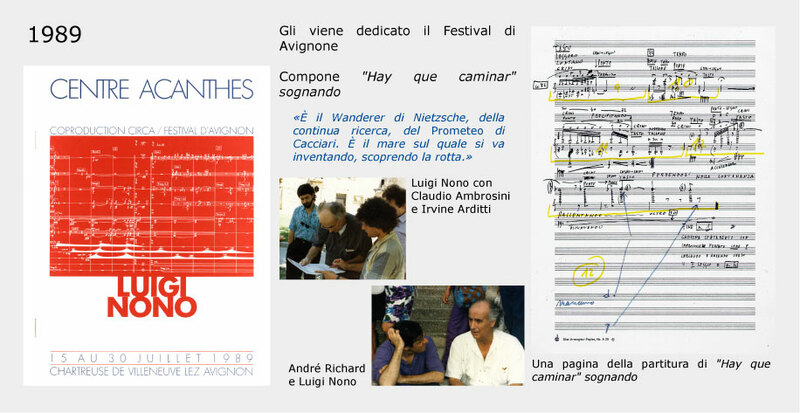 This timeline intends to retrace the personal and artistic path of Luigi Nono through documents, photographs and words of the Venetian composer. 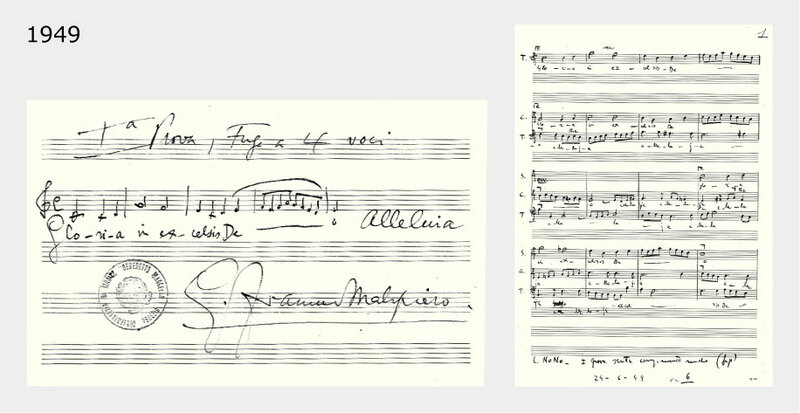 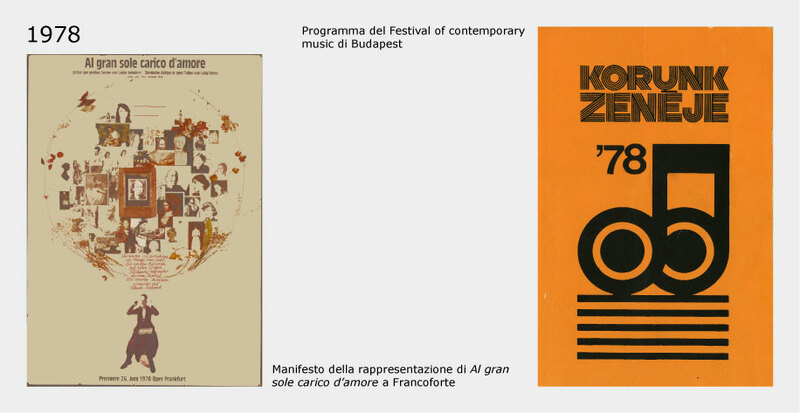 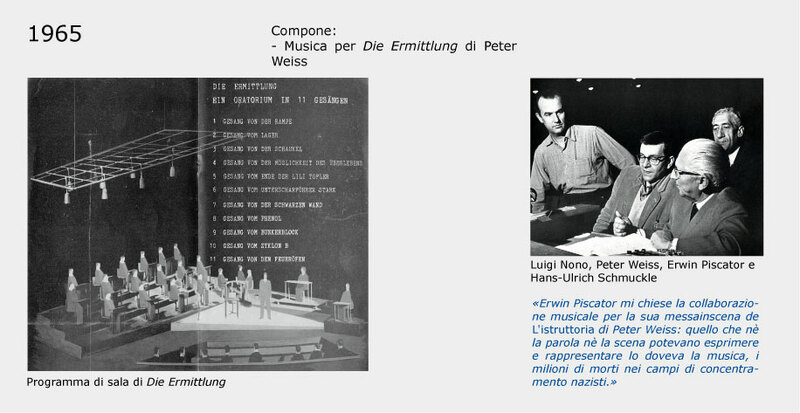 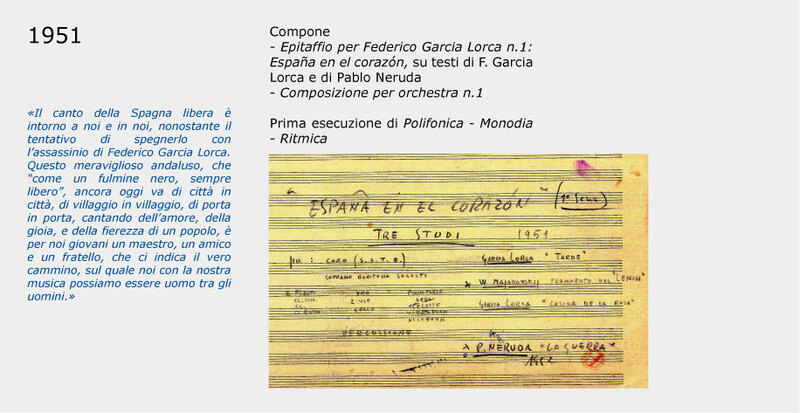 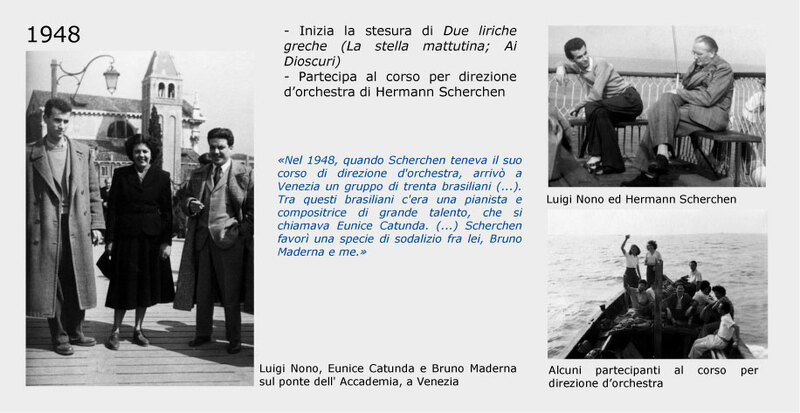 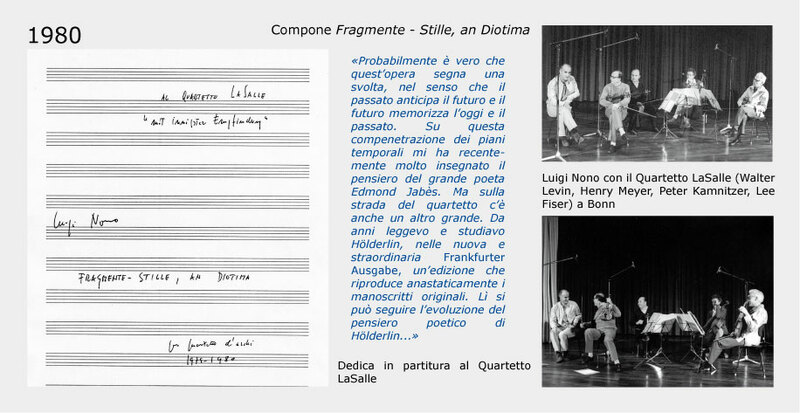 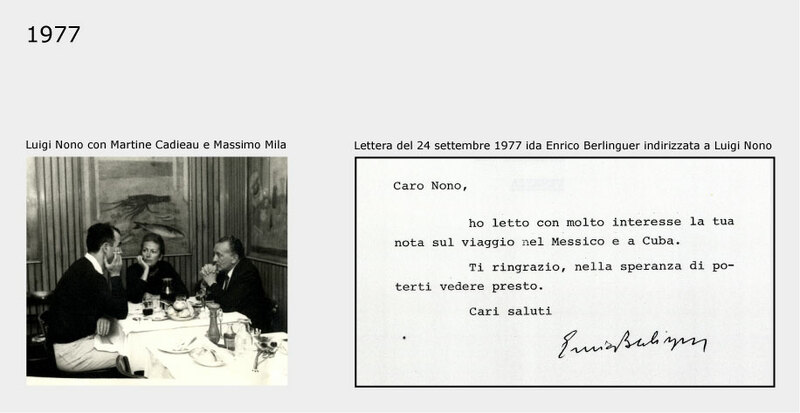 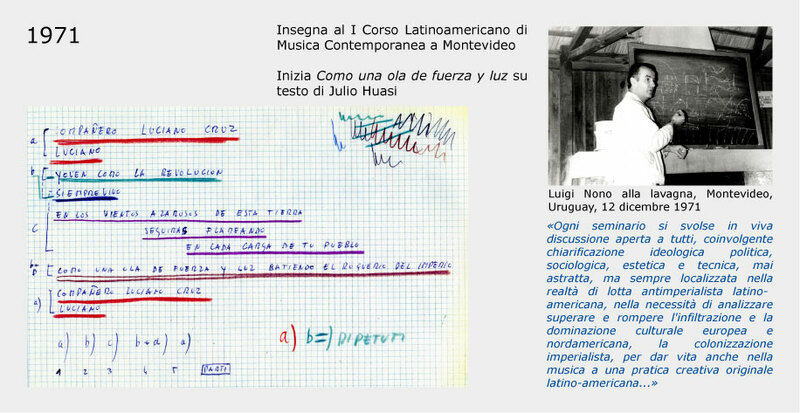 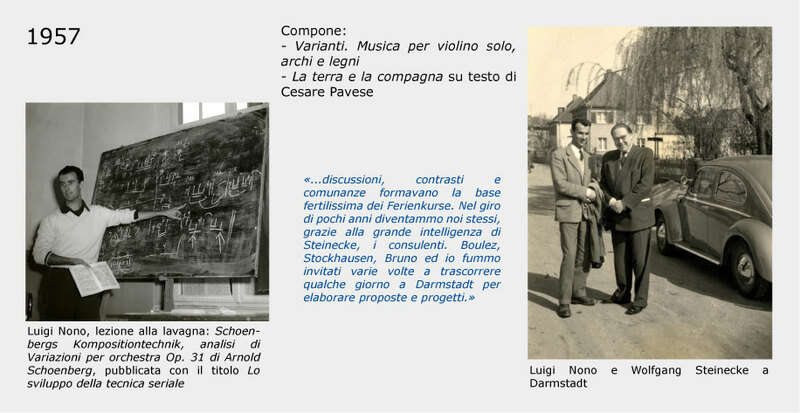 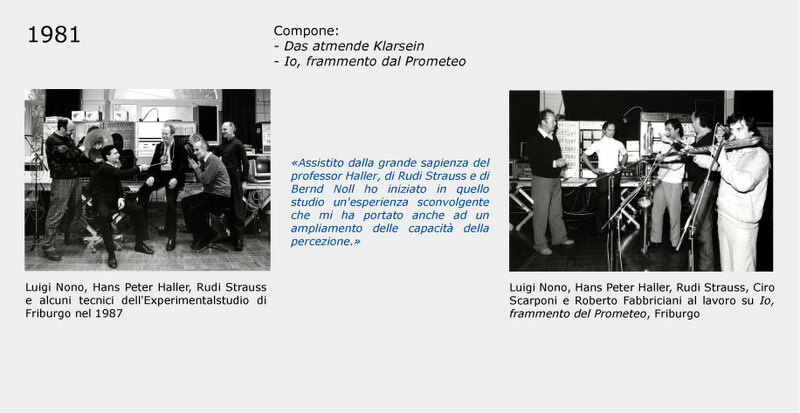 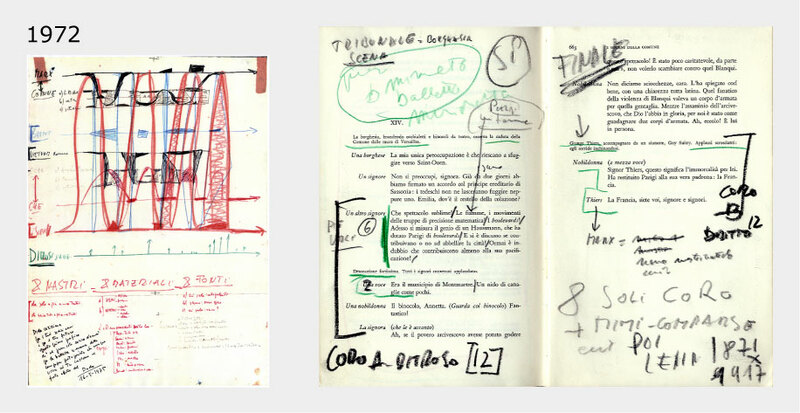 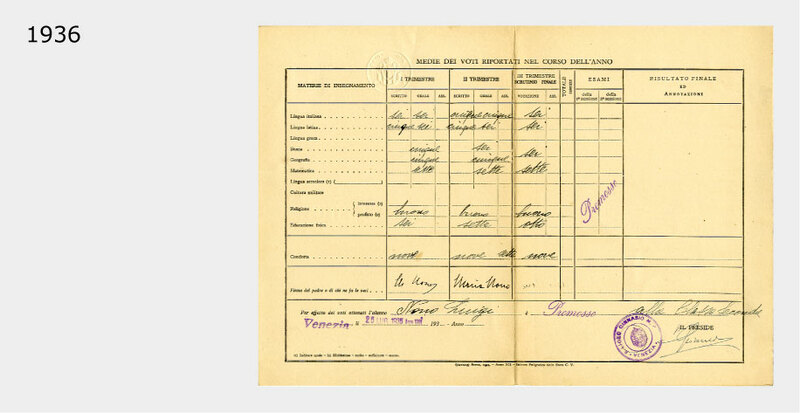 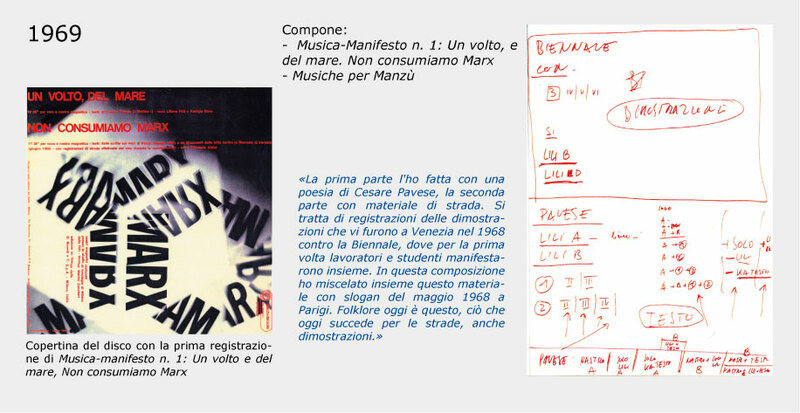 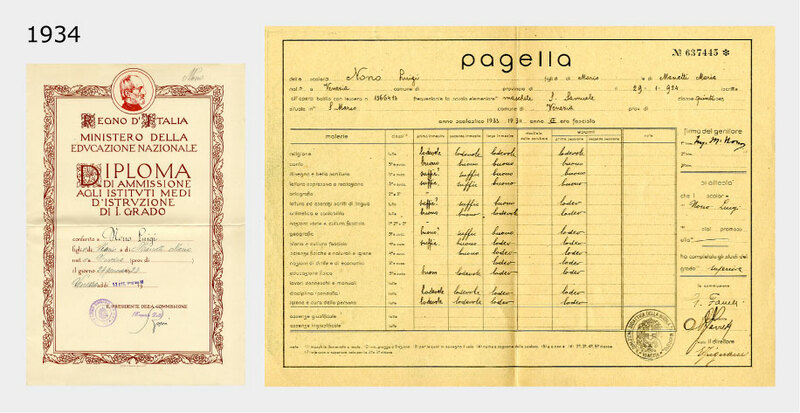 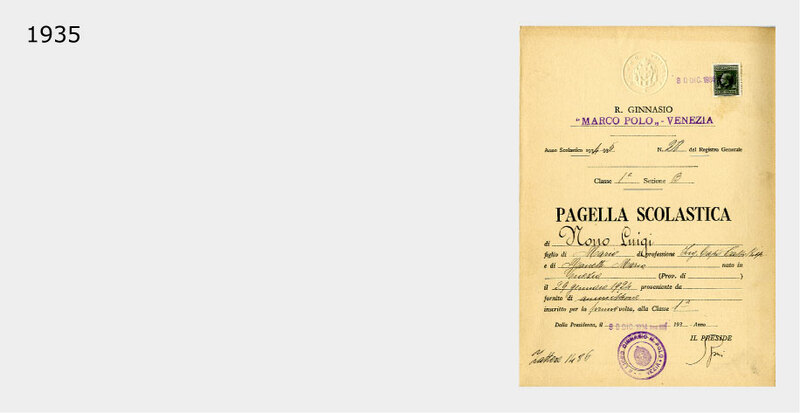 All the documents used are kept in the Luigi Nono Archive. 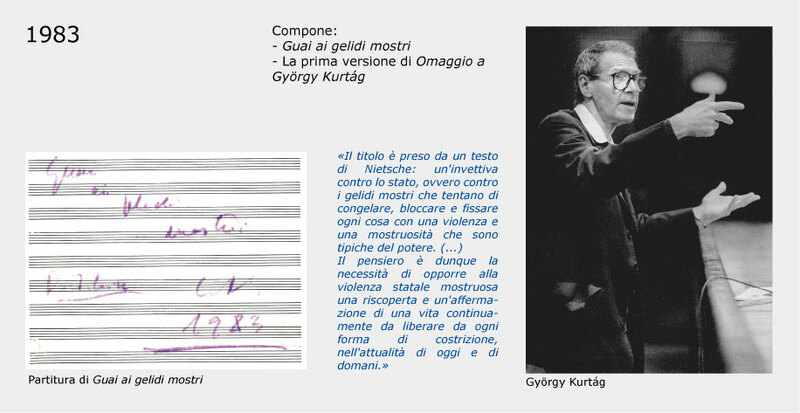 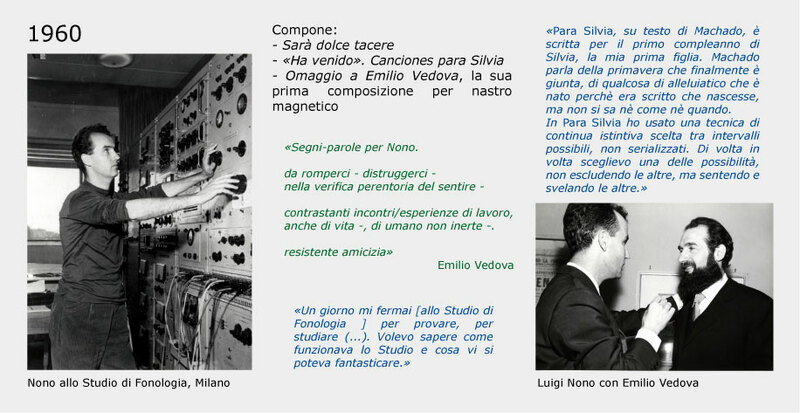 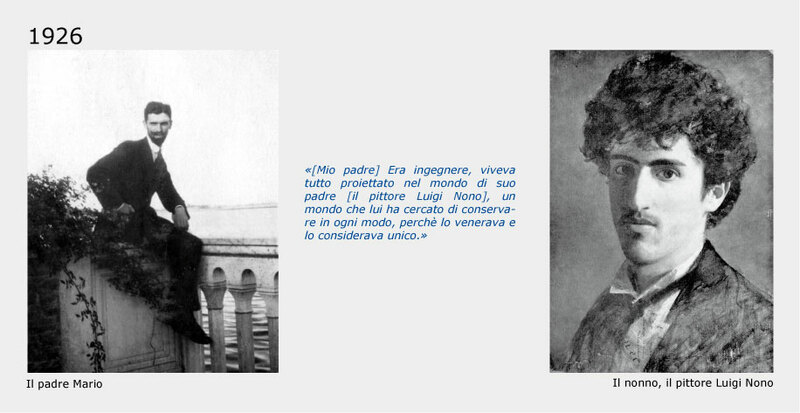 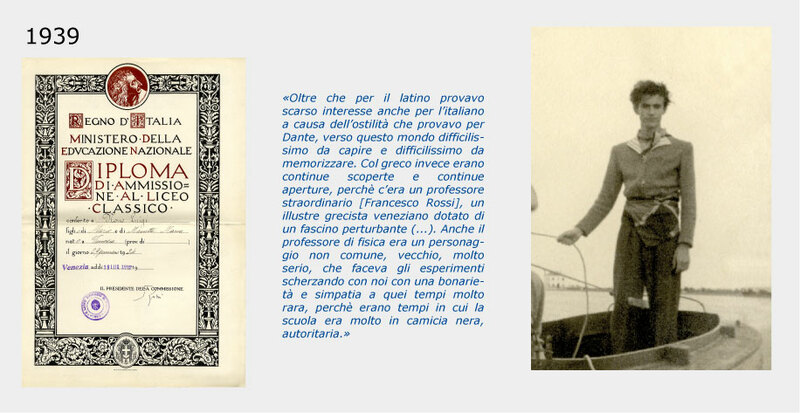 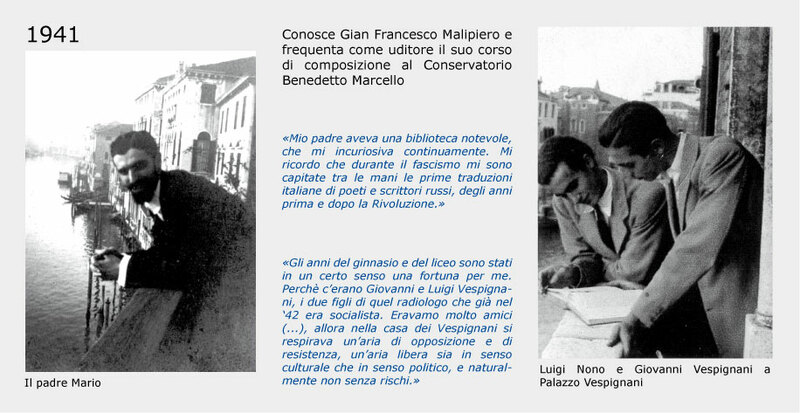 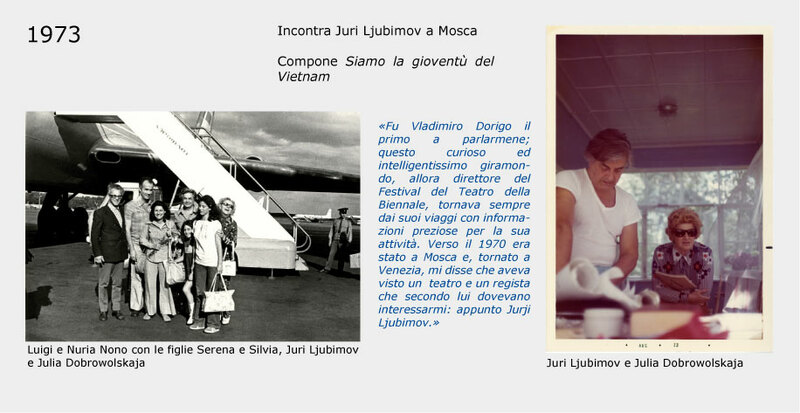 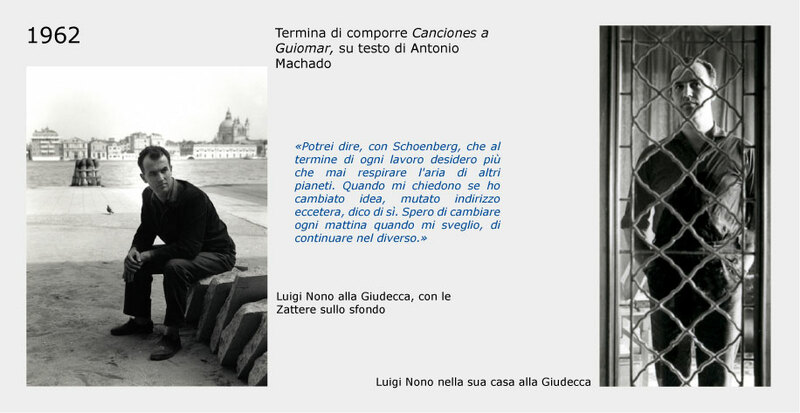 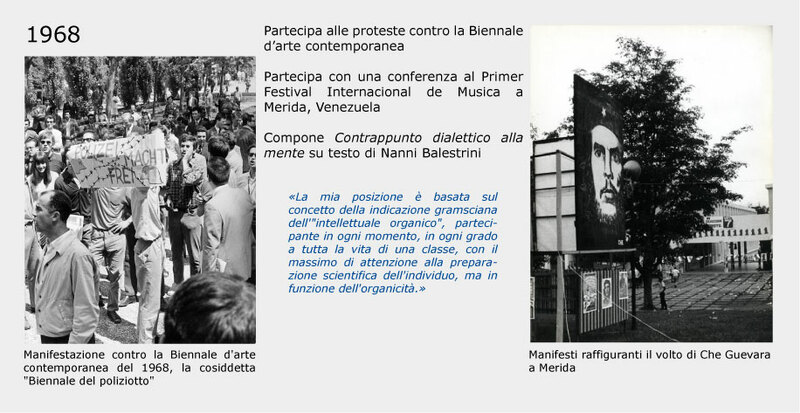 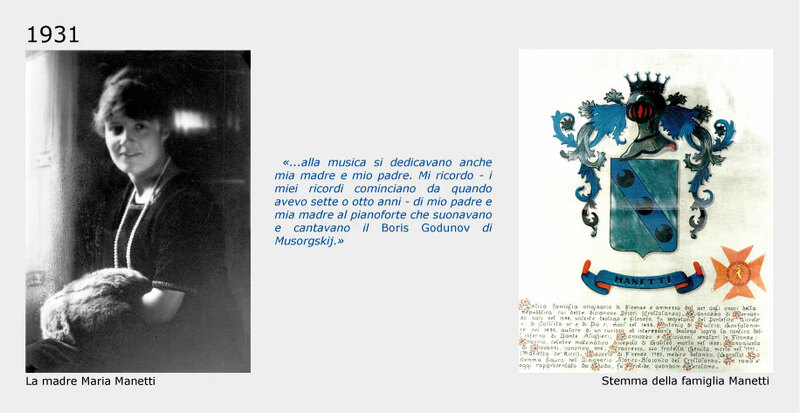 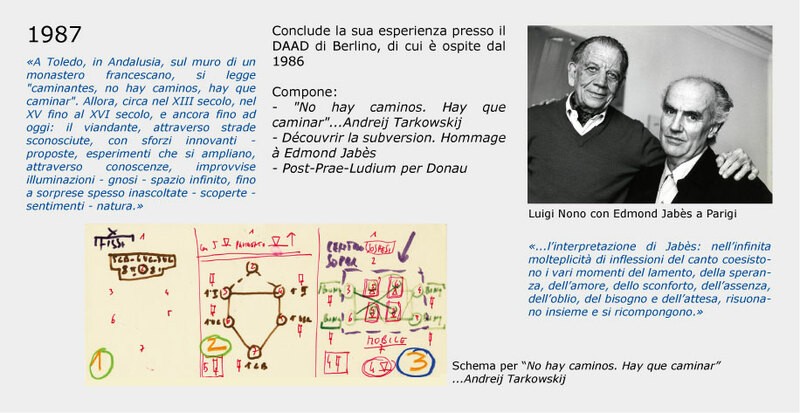 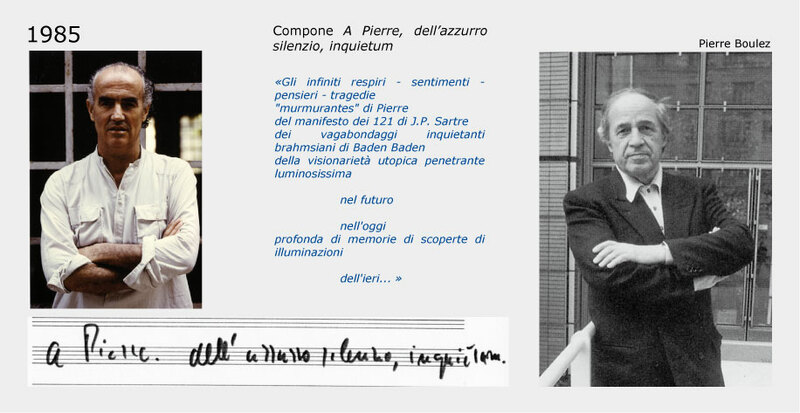 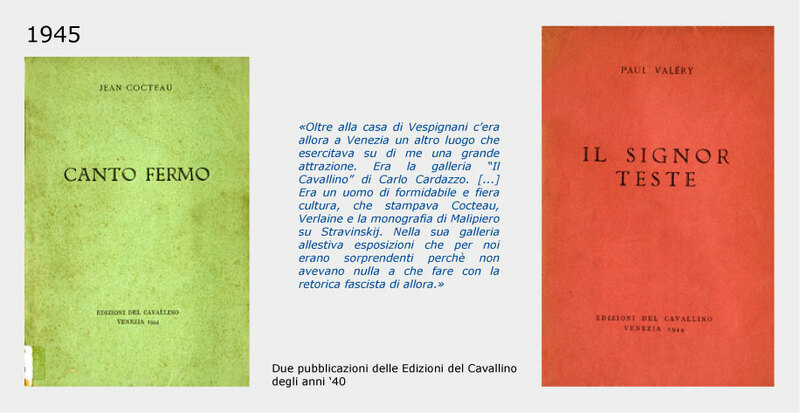 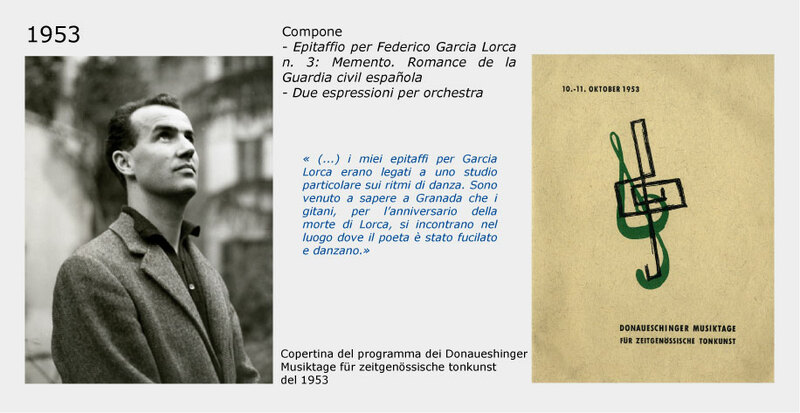 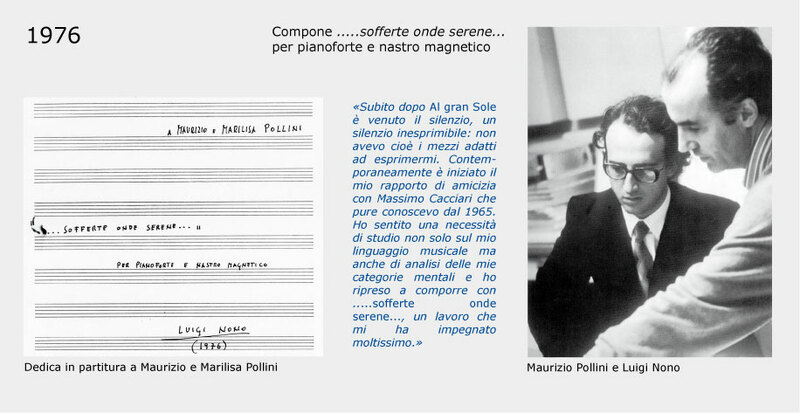 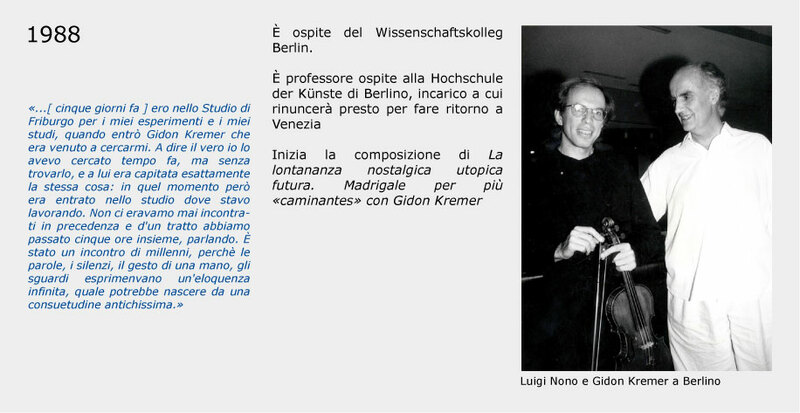 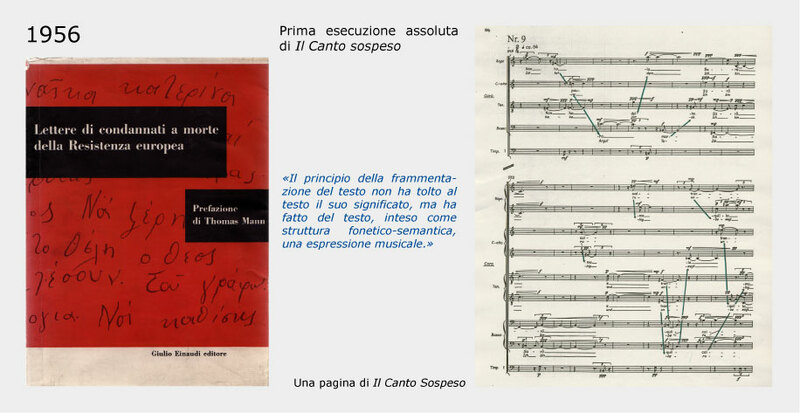 The quotes are taken from the autobiography of the author told by Enzo Restagno (1987) and from other writings by Luigi Nono, published in the two volumes Ricordi (2001). 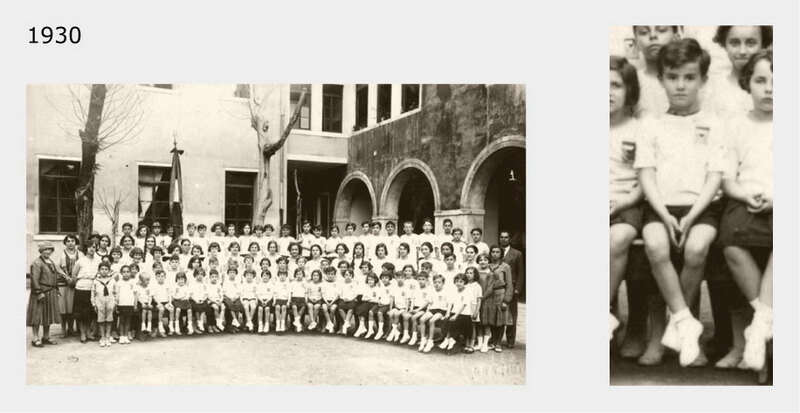 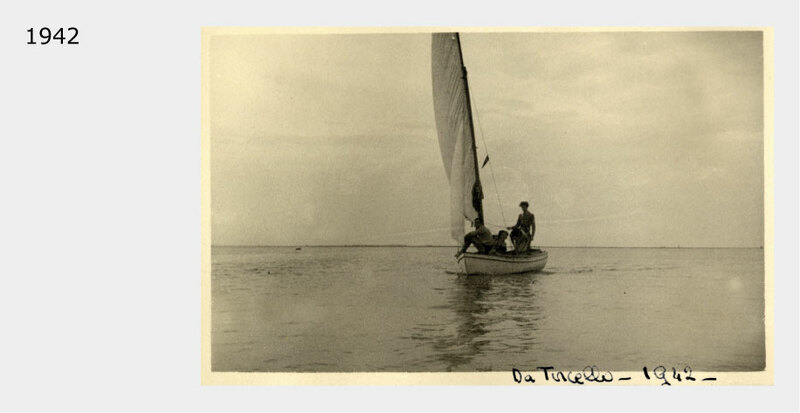 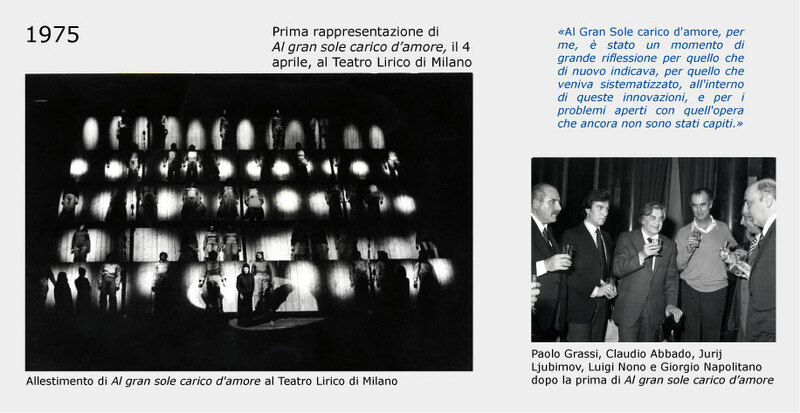 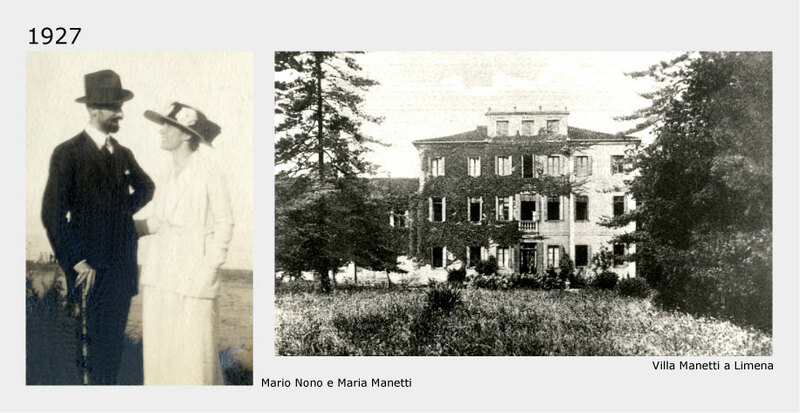 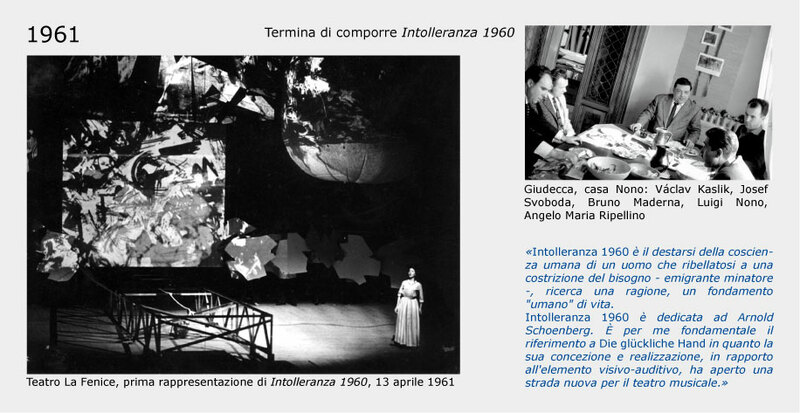 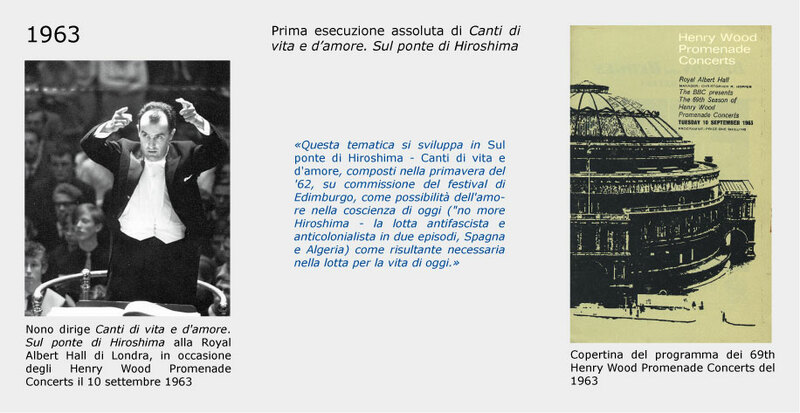 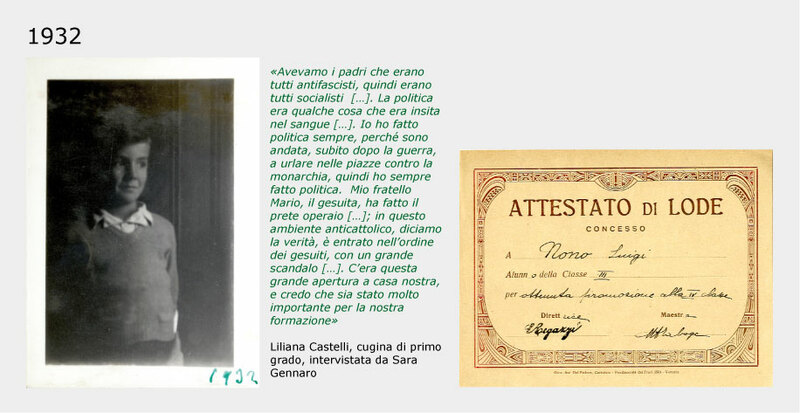 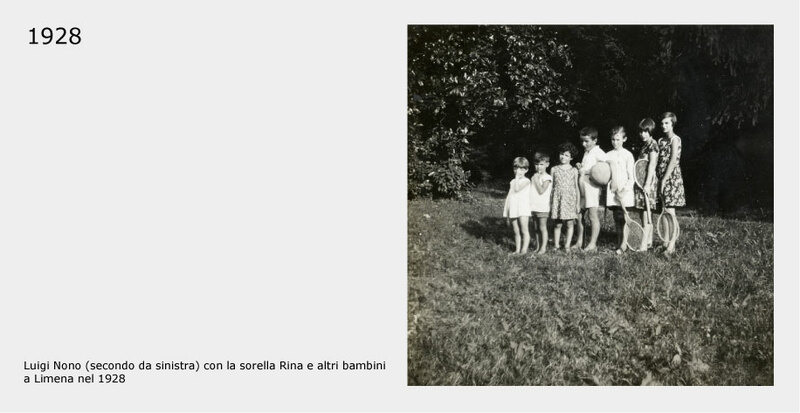 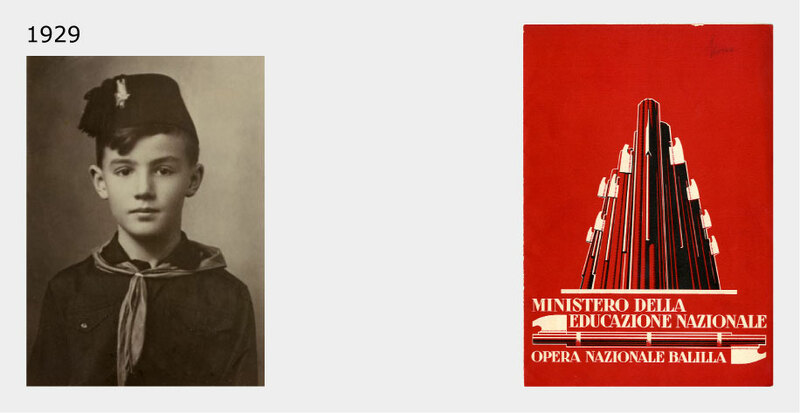 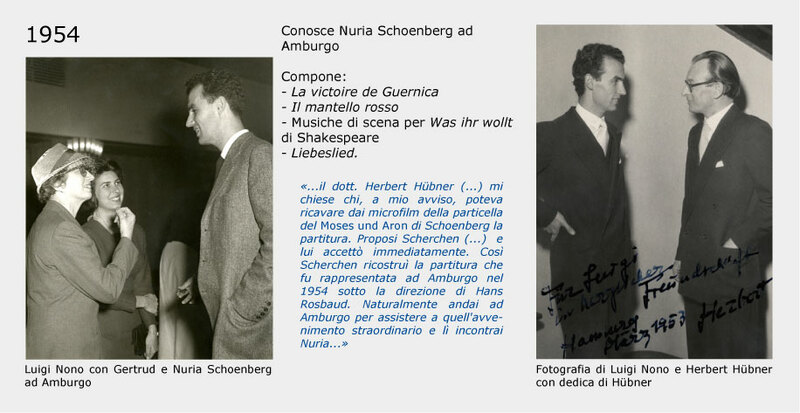 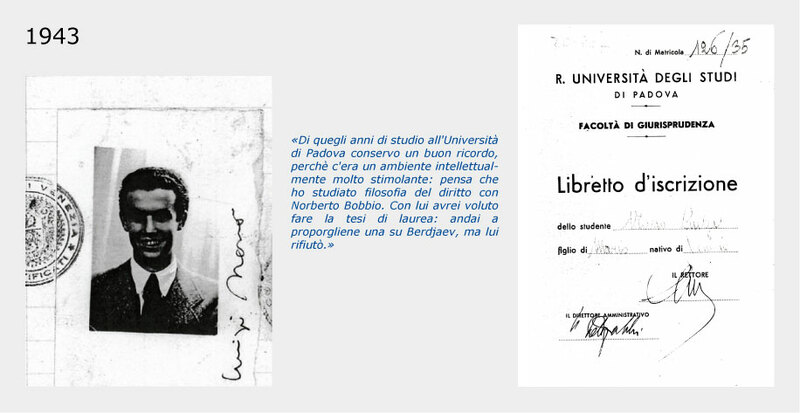 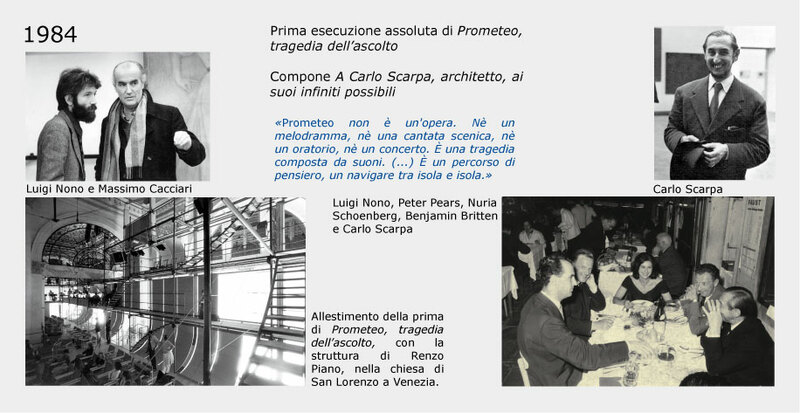 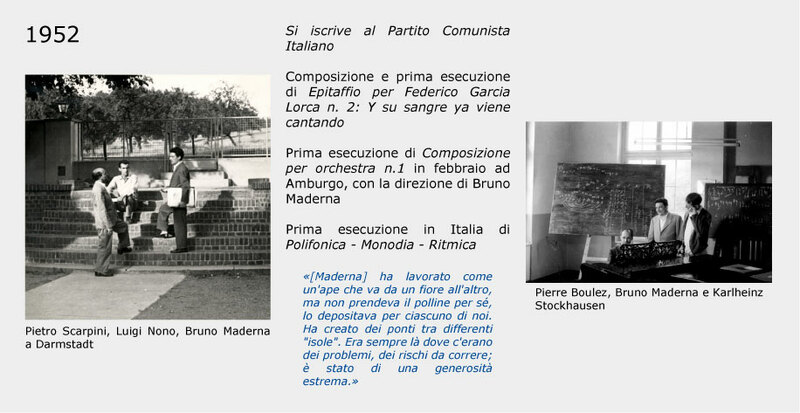 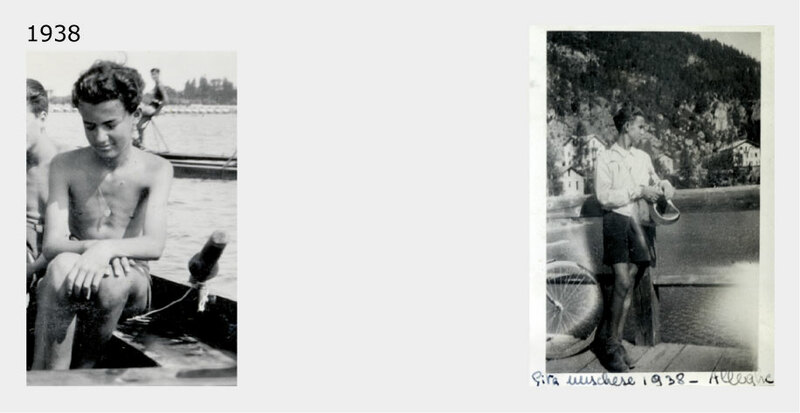 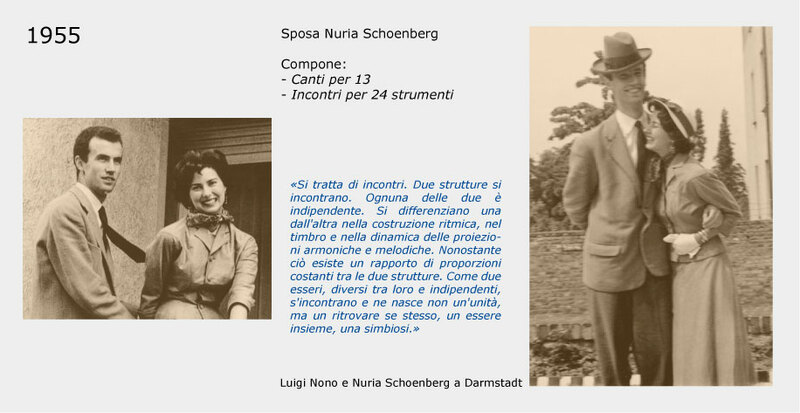 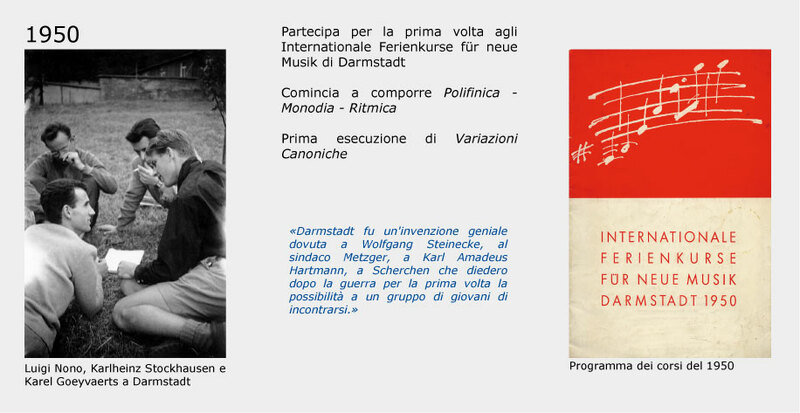 The photographs utilized are from: Studio Adelmann, Studio AFI, Coriùn Aharonian, Archivio Scala, Graziano Arici, Erich Auerbach, Archivio Cameraphoto, Luigi Ciminaghi, Camillo Fischer, Ursula Hartleben, Lauterwasser, Luigi Nono, Nuria Schoenberg Nono, Erika Rabau, Karin Rocholl, Susanna Schapowalow, Hella Steinecke, Maria Steinfeldt, Guy Vivien.